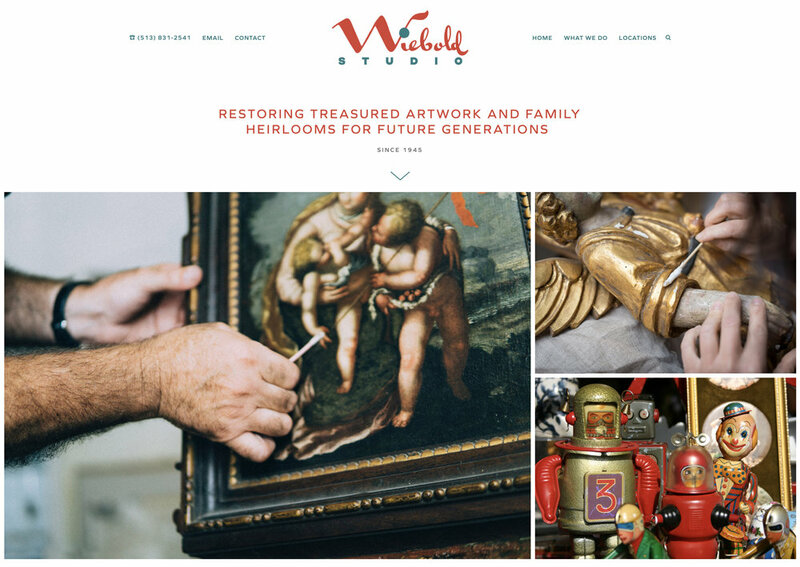 For over 70 years, the Wiebold Studio staff has lavished the same attention on every item—whether a museum piece or a family treasure. 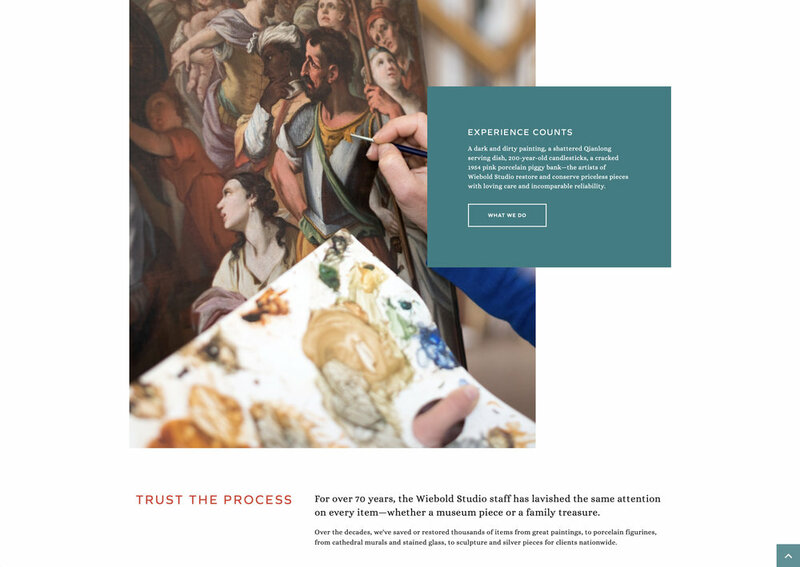 Over the decades, they’ve saved or restored thousands of items from great paintings, to porcelain figurines, from cathedral murals and stained glass, to sculpture and silver pieces for clients nationwide. It was their turn for a restoration. 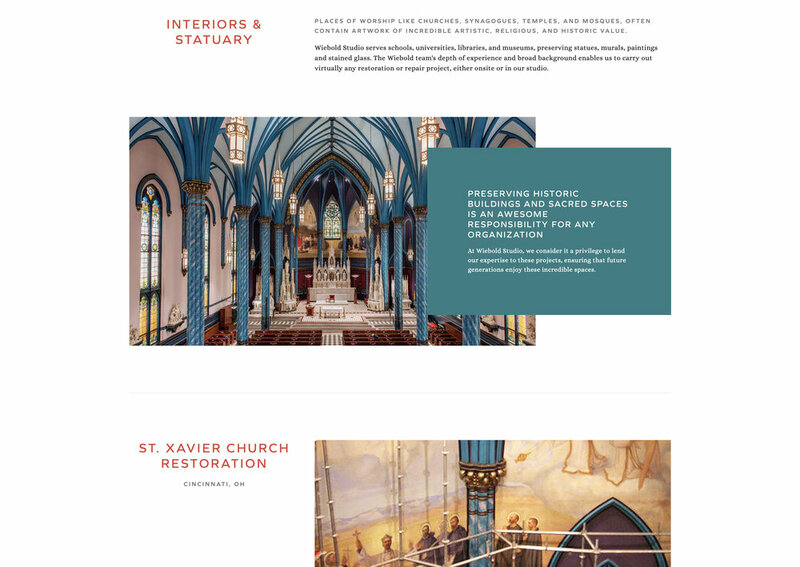 We pulled the retro font from their logo and used bold colors, we utilized a custom plugin for the before / after images, beautiful photography with dramatic color overlays, mixed it with some elegant icons, and plenty of white space to create a modern, minimal, clean website. 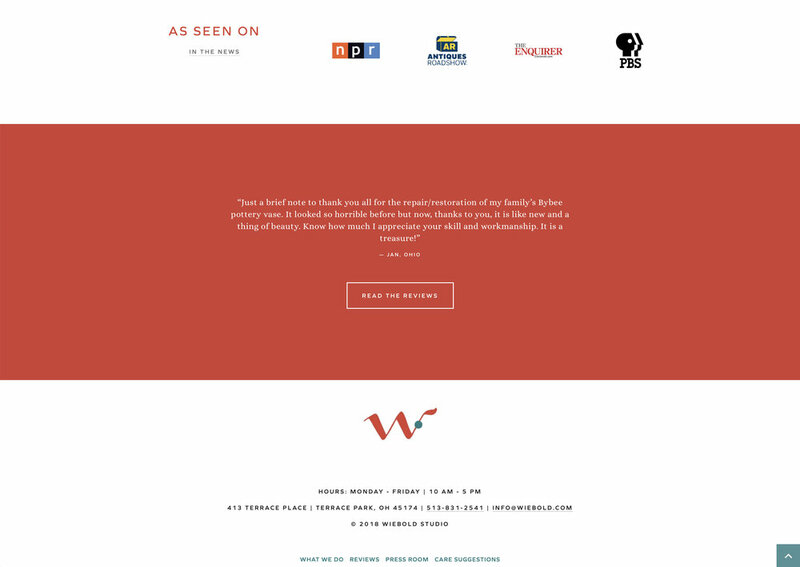 Polish up your online presence.